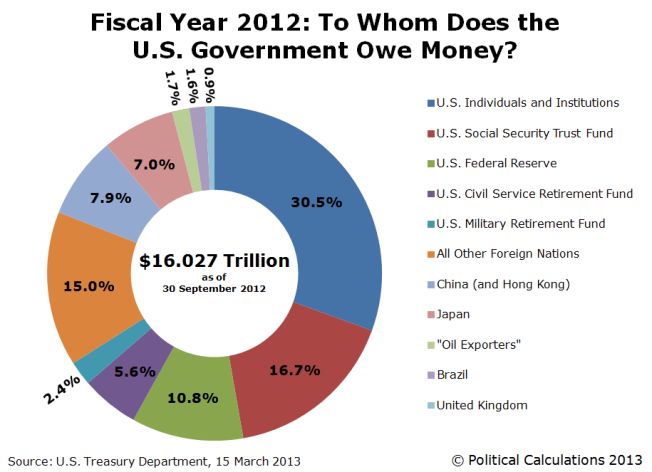 To Whom Does the U.S. Government Owe the Most Money? It turns out that we don’t actually owe at least 34% of the national debt to ourselves, so that would seem to be a major hole in the Nobel Prize winner’s thinking. 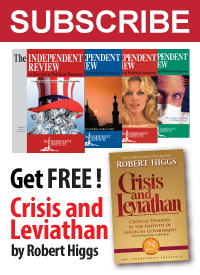 Through 29 March 2013, the halfway point of the U.S. government’s 2013 fiscal year, the total public debt outstanding of the United States has grown to $16.771 trillion – an increase of more than $744 billion in just six months time. Meanwhile, on 3 April 2013, President Obama pledged to donate an amount equal to 5% of his $33,333 per month salary as President of the United States of America to the U.S. Treasury, which only accepts such voluntary payments to “help reduce the public debt”. Nearly a year earlier, on 10 April 2012, the White House’s official spokesman Jay Carney described such a gesture as a “gimmick” when proposed by opponents of the President’s ongoing calls for higher taxes, which the President later succeeded in obtaining on 3 January 2013.